Royal Birkdale hosts the Open 2017 and getting there is incredibly easy with Hillside station just a couple of minutes walk away. However, Sunday may be difficult for those hoping to get the train to Birkdale, with a strike planned by members of the RMT union. It doesn’t mean that all trains are off, but there will be a limited service running on the Southport line on the 23rd July. Trains will run between Hillside and Liverpool Central, calling at only Blundellsands and Crosby. Trains will run directly from Liverpool Central to Hillside station, with selected trains calling at Blundellsands and Crosby between 9am and 1.15pm. Trains will run directly from Southport to Hillside between 9am and 12.30pm. Trains will run directly from Hillside to Liverpool Central, stopping at Blundellsands and Crosby, between 5.10pm and 8.55pm. Trains will run from Hillside up to Southport between 5.35pm and 8.20pm. Merseyrail advise that if you are travelling back from The Open, you should get to Hillside station by 7.30pm as it will be extremely busy. There will be no trains running on the Chester, Ellesmere Port, New Brighton, West Kirby, Orsmkirk, Kirkby or Hunts Cross lines on Sunday 23rd July. Managing Director of Merseyrail, Jan Chaudhry-van der Velde has said, “I am sorry that we will have to provide a reduced service on Sunday 23rd July, but the RMT, on this of all days, has decided to bring its guard members out on strike. 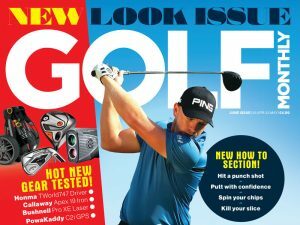 Remember to follow Golf Monthly on Facebook, Twitter and Instagram to keep up to date with the latest Open news.